AT&T reported first-quarter 2018 results after markets closed on Wednesday April 25th. The telecom goliath reported adjusted diluted quarterly earnings per share (EPS) of $0.85 on revenues of $38.04 billion. In the same period a year ago, the company reported EPS of $0.74 on revenues of $39.37 billion. First-quarter results were a bit below the consensus estimates for EPS of $0.87 on revenues of $39.31 billion. Operating cash flow totaled $8.9 billion and capital expenditures totaled $6.1 billion in the first quarter. Free cash flow totaled $2.8 billion. AT&T reported total mobile subscribers and connections of 143.83 million for the quarter, of which 77.43 million were postpaid (contract) subscribers. That amounts to a loss of 78,000 postpaid customers, more than the 68,000 loss analysts were expecting. Postpaid net additions totaled 49,000, far better than the 194,000 subscribers lost in the first quarter of 2017, but less than 10% of the 558,000 net adds in the fourth quarter of last year. The company had a big surge in subscribers for its core wireless business during the quarter before this one, but analysts from New Street Research LLP are questioning the quality of those gains. That’s largely due to aggressive promotions, like AT&T’s buy-one-get-one-free iPhone offer, which required customers who took advantage of the promo to add another wireless subscription. New Street’s analysts are concerned that if customers were prompted “to add lines they don’t need to get free or cheap devices,” a portion of those lines “will be disconnected in due course.” This means investors should watch for higher churn rates down the road. Already the benefits of such promos may be waning, with AT&T adding just 49,000 wireless postpaid customers in the first quarter, versus more than 550,000 in the fourth quarter. The DirecTV business lost 187,000 subscribers in the quarter, less than analysts’ estimate for a loss of 257,000. The DirecTV Now streaming service added 312,000 new subscribers. AT&T saw declining business revenue in the first quarter (see Analysis below), as increased wireless sales to businesses and improved strategic service revenues failed to offset the decline in legacy services. AT&T saw declining business revenue in the first quarter, as increased wireless sales to businesses and improved strategic service revenues failed to offset the decline in legacy services. However, its chief financial officer pointed to an improving trend in business revenues, with slower declines, and said the move to a software-defined network is beginning to pay off. Total business wireline revenues were $6.8 billion, down 7.9% year over year, or down 3.3% on a comparable accounting basis, according to AT&T Inc. (NYSE: T). Wireless business revenues were up nearly 4%, but wireline revenues were down 3% year over year, for an overall decline of 1.6% on a comparable basis. Some of those operating expense savings came from the move to a software-defined network, Stephens said, as 55% of network functions were virtualized by the end of 2017. AT&T also touted gains in what it calls “strategic business services,” which are the wireline offerings including virtual private networks, Ethernet, cloud, hosting IP conferencing, voice over IP, dedicated Internet, IP broadband and security services. Revenues in those areas grew about 6% or $166 million and represented 44% of total business wireline revenues and an annual revenue stream of $12 billion. That growth could not offset a $440 million decline in legacy business revenues, however, as AT&T, like other telecom operators, continues to see businesses either move to competing carriers or replace legacy services with more cost-efficient offerings. Without the deal, AT&T’s weaknesses will be more pronounced and its next chapter will be left open-ended—not to mention that nearly two years of planning, negotiations, adviser fees and legals costs will have been for nothing. If the deal does get done, the wireless-service and pay-TV provider’s bundling opportunities and bargaining power will be greatly enhanced, though it will also have to contend with an unprecedented level of debt that must be balanced against a dividend-hungry investor crowd and a costly but crucial 5G-network build. Interpreting the company’s quarterly results depends on which of these scenarios ultimately plays out. This is week six of the merger trial, in which attorneys for the U.S. Justice Department are trying to make the case that a combined AT&T-Time Warner would be harmful to the industry and result in higher prices for consumers. While it’s still not clear how the judge will rule, shareholders are becoming more confident that the transaction will survive court. If it doesn’t, those shareholders may be forced to see two key operational metrics in a different light. With Time Warner’s assets—namely HBO, Turner Broadcasting and the Warner Bros. film studio—AT&T will look like an entirely different company. It will look a lot like Comcast, and that’s part of the problem from the Justice Department’s standpoint. Time Warner will face its own challenges around advertising trends and trying to stuff its array of networks into limited streaming packages. But there’s no question that it will help make sense of Randall Stephenson’s expansion of AT&T into the pay-TV market and improve AT&T’s positioning and value proposition. Should the Time Warner acquisition get blocked, it will mark a third deal disappointment for Stephenson. The first was AT&T’s attempt to buy T-Mobile back in 2011, which also faced regulatory opposition. DirecTV was the second—it got done, but it’s clear now that AT&T overpaid. Almost 650 public-safety agencies in 48 states and territories have subscribed to FirstNet and deployment of infrastructure to support communications on 700 MHz Band 14 spectrum has begun in earnest, AT&T Chief Financial Officer John Stephens said this week. In March 2017, AT&T was named as the nationwide contractor for FirstNet, which is charged with building and maintaining a nationwide public-safety broadband network (NPSBN). 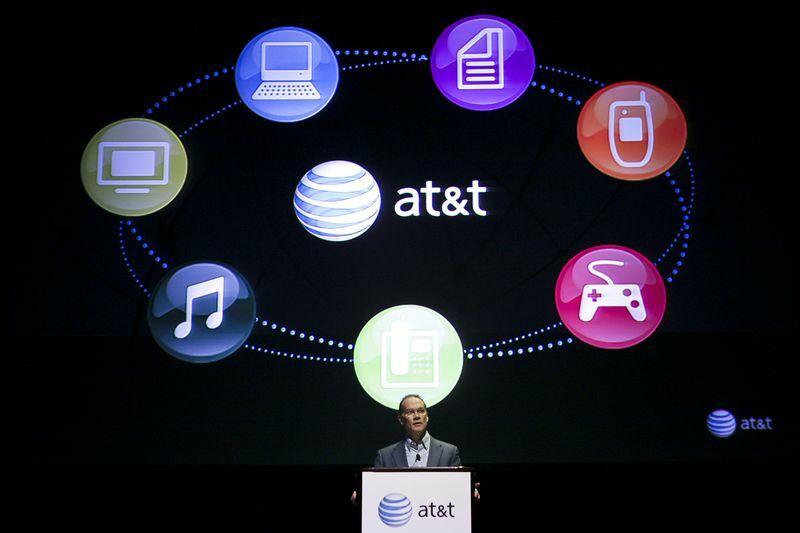 Stephens said that AT&T is making significant progress on the massive LTE project. AT&T officials “continue to be very excited about” FirstNet and view the massive project as a “real growth opportunity” for the company, he said. “Quite frankly, I think we’ve been very pleased about the reception we’ve been given to at least talk to people that previously weren’t our customers,” Stephens said. Stephens noted that AT&T’s FirstNet role could lead to additional sales opportunities beyond providing a single broadband link to individual first responders. AT&T executives said Wednesday the operator plans to be the mobile 5G leader in the US, and will spend five years fully building out the FirstNet LTE network in the US for emergency workers. At the Brooklyn 5G Summit on Wednesday morning, AT&T Inc. (NYSE: T)’ s president of technology repeated once again that Ma Bell will have mobile 5G available in 12 markets in the US late in 2018, albeit with a “mobile puck” that might be better described as a nomadic router device. The operator hasn’t said that what spectrum it will use yet. However, we’re told 39GHz millimeter wave (mmWave) spectrum is widely expected to be AT&T’s frequency of choice. On AT&T’s first quarter earnings call later Wednesday, CFO John Stephens lauded AT&T’s recent fixed wireless mmWave 5G, saying that they performed “better than expected.” The test signals, he said, “blasted through foliage,” rain and snow — although this was under trial conditions, he allowed. Shareholders/owners of both Sprint and T-Mobile voted today. From the market opening to close today- Sprint and T-Mobile lost ~$3B each in their respective market caps. Unless T-Mobile and Sprint management, collectively, present a newly drummed up rationale why would shareholders approve this lose-lose merger?